Nikkaluokta soup is a Swedish soup with minced meat and cabbage. It is named after the Nikkaluokta, a community located in the northernmost part of Sweden. This is a cheap and hearty soup, perfect for cold winter nights. Nikkaluokta soup can be made with many different types of minced meat, including beef, pork and moose. Combining several types of minced meat will also work well. 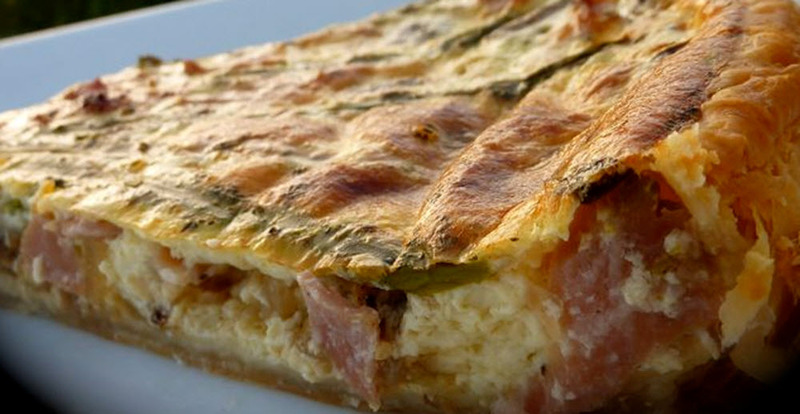 This recipe will give you 250 grams of meat each if you divide it into two servings. For many, that is a bit too much, but we’ve kept the recipe the way it is since Nikkaluokta soup tastes even better reheated. Make a big batch while you’re at it and have some left-over soup ready for a quick and tasty meal later in the week. In a big pot, brown the meat in the butter. Set aside. Peel and finely chop onion and leek (and garlic). Set aside. Cut the cabbage into thin stripes. 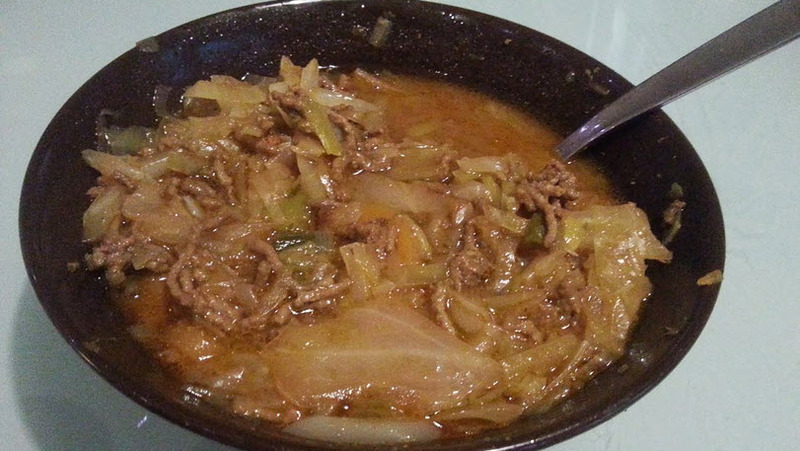 Fry onion, leek, (garlic) and cabbage together with the meat in the pot. Add stock (or water + cubes) and bring to a boil. Peel and chop some horseradish. 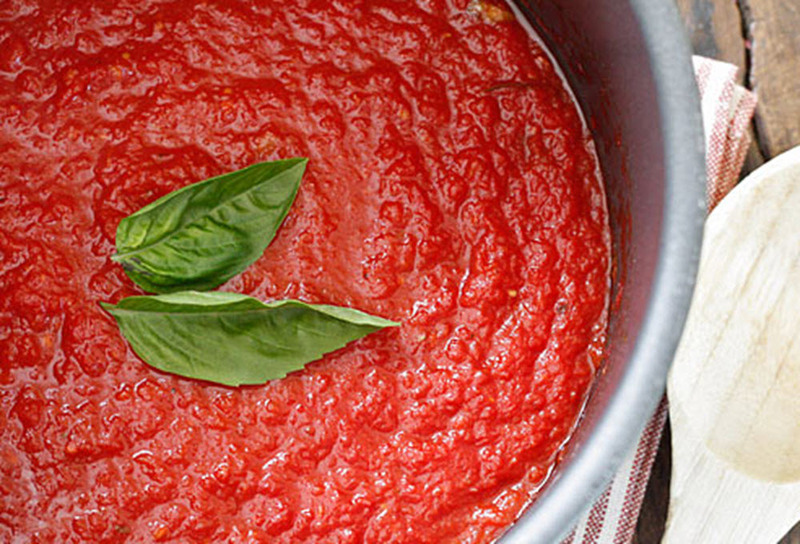 Add tomato paste to the soup. Add a small amount of horseradish. Taste. Add more if you want to. Leave to simmer for 15 minutes under a lid. Nikkaluokta soup derives its name from a Sami village in Gällivare municipality, Norrbotten county in Lappland, the northernmost part of Sweden. The Nikkaluokta area has a severe subarctic climate with long, dark and very cold winters. The village is within the midnight sun/polar night region. Nikkaluokta soup is made from meat + ingredients that can be stored without spoiling (even without modern kitchen equipment) and thus be available even during the long and cold northern Sweden winter season. The tomato paste is probably a fairly modern addition to the recipe, added when preserved tomato products imported from Southern Europe began to enter the shelves of Swedish grocery stores. The community of Nikkaluokta was formed around 1910 by a few Sami families that had lost all their reindeer during a couple of unusually harsh winters. (That is why Nikkaluokta soup, despite having its origins in a Sami village, isn’t made from reindeer meat.) Nikkaluokta was strategically located in the centre of three valleys and the area provided good opportunities for fishing and hunting, and some of the proceeds could be used for trading. As alpine tourism in the Swedish mountains grew increasingly popular, Nikkaluokta became a small hub for transport, basic lodging and stocking up on provisions. Today, it is a starting point for several hiking and skiing trails in the Kebnekaise area, including the famous Kungsleden. Fairly close to Nikkaluokta is two Sami communities named Laevas and Girjas, where the inhabitants still make a living out of herding semi-domesticated reindeer.